This post was originally published in December 2013 but I wanted to re-publish it for you today because I have a feeling that you'll love it as much as I did. I've just come back from a weekend break in Prague. What I didn't realise before I went, is how beautiful the capital city of the Czech Republic is. Here are my top tips on what to do on a Christmas break. 1. Get your bearings and learn some of the troubled histories of this city by going on a tour. Almost undamaged by World War 2, Prague's medieval centre is a mix of cobbled lanes, walled courtyards, and Gothic architecture. We did a free tour by New Prague Tours. The guides work on tips and our guide, Colin, was informative and funny and helped up gained a valuable insight into Prague's history. Wrap up warm as it was near freezing in December. 2. Christmas wouldn't be Christmas without visiting Prague Christmas markets. The main ones are in The Old Town Square and Wenceslas Square. 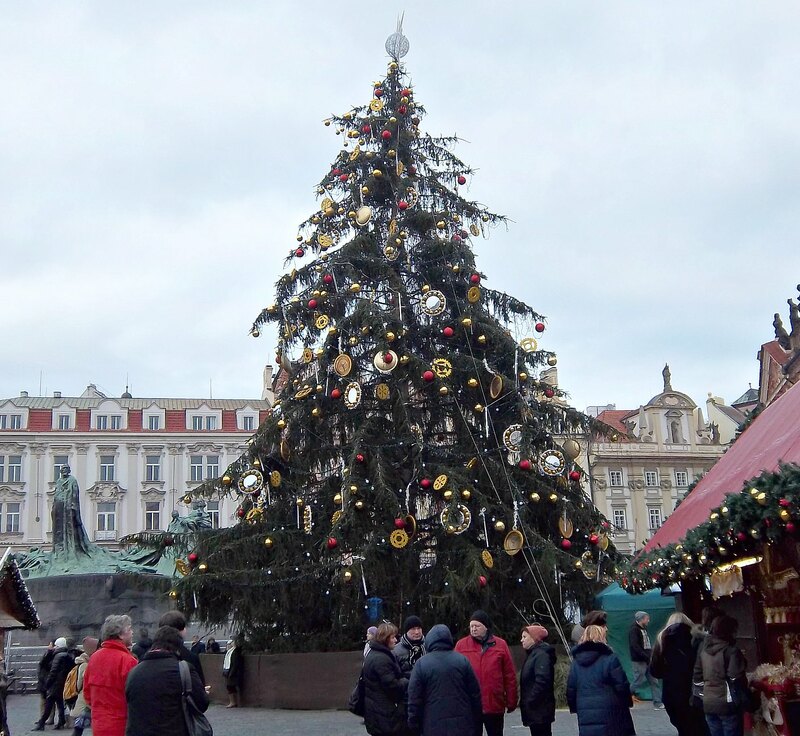 Traditional crafts such as glassware, wooden toys and decorations, mix with food stalls selling mulled wine, Prague ham, and lager. In the old Town Square, the stunning Christmas tree, illuminated at night, is worth a visit alone. 3. Visit Prague Castle - the largest castle complex in the world. It consists of courtyards, palaces and churches of various architectural styles, and is stunning to see. Originally it used to be the residence of Princes and Kings of Bohemia. 4. 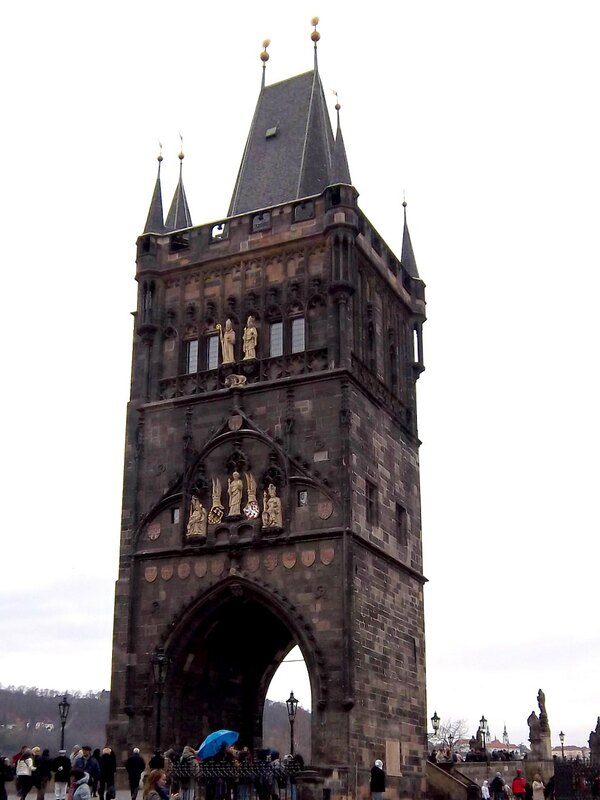 Take a walk over Charles Bridge for a great view of the city. Local artists mix with tourists and historic statues line the bridge, but be careful of pickpockets as it can get very crowded in the day. 5. Visit the infamous Astronomical clock at the Old Town Hall. On the stroke of the hour, people gather to see the 12 Apostles and the skeletal figure of Death appear. Colin, our guide, told us it is among the most overrated attractions in the world, but personally, I feel it has to be seen :). 6. Visit the opera, the ballet or the theatre while you are there. Tickets can be bought last minute at a very reasonable price but always buy from the theatre's box office as Prague is known for ticket touts. Did you know that there are over 40 different theatres in Prague? 7. Prague's museums are known worldwide for the quality of their exhibitions. The National Museum and National Gallery of Prague hold great displays and exhibitions with depth and quality. We went to the Rudolfinum to see a modern art exhibition by the brothers Jake and Dinos Chapman. These British artists are well known for their modern art based on death and life and it was certainly entertaining! 8. Try the local food, or eat out at one of the many restaurants. The local dishes include a type of goulash, stewed pork or beef with dumplings, and sausages often served as bar snacks with the local lager. Prague has also more cosmopolitan places to eat and drink with a range of prices and cuisines. 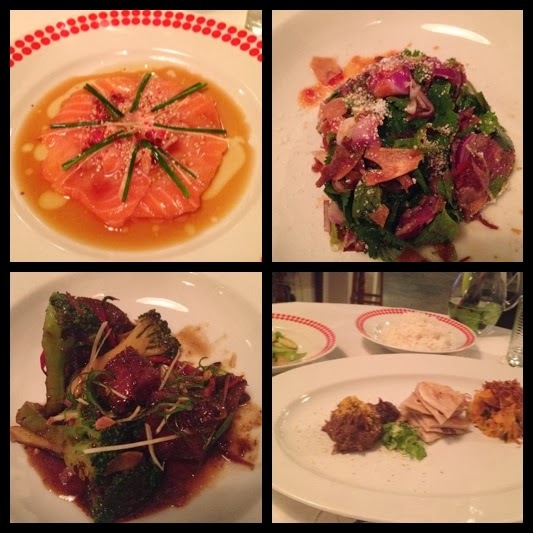 We ate at Sansho - and had an absolutely fantastic meal. They serve a tasting menu and although the food does not have a Michelin star we felt it should have had. The Asian inspired food was beautifully presented by a past chef from Nobu, London. Our 7-course meal with wine came to £80 and for food of this standard, we thought this was amazing. At the other end of the scale, we found a great pizza at a bargain price in Giovanni's, just behind the Old Town Square. We had a two-course meal with wine for under £30 for two. It was tasty, service was quick and the restaurant had a certain rustic charm. 9. Where to stay. There is a wide variety of hotels of all prices in Prague. We stayed at the Hotel Maximilian. This stylishly modern hotel doesn't compromise on service, you can even have a pet goldfish brought to your room for your stay! Complimentary tea and coffee are served every day and the buffet breakfast had a good mix of tempting hot and cold dishes including food cooked to order. The rooms have facilities such as DVD players, coffee machines and free Wi-Fi. We were very impressed with this hotel as on a special rate we only paid £90 a night which is fabulous for a city centre hotel of this standard. 10. Be careful of pickpockets and petty crime. Tourists can be scammed by people in the street asking if you want to change money and ripping you off. Taxi drivers are renowned for overcharging, so arrange taxis with your hotel or look at Trip Advisor for reputable companies. I had heard that there used to be a problem with stag dos but we never saw anything when we were there. Fortunately, serious crime is rare. In conclusion, there is so much to see and do in Prague, and we were pleasantly surprised by the cost of living. It is a beautiful city with amazing architecture and is a perfect city to visit this time of year to enjoy the Christmas markets. If you have never been to Prague I urge you to go. 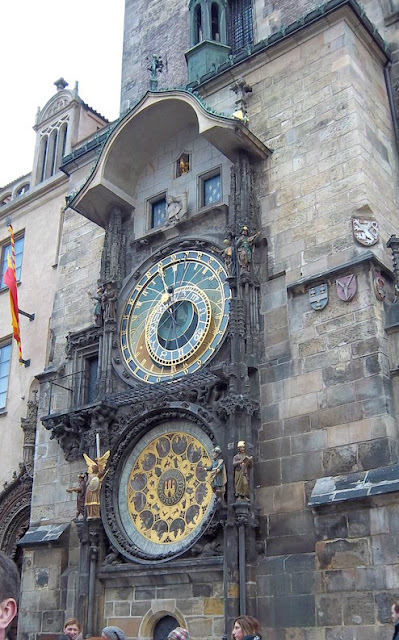 For more cool things to do in Prague, check out this post. Have you been to Prague? What did you think of it? If you haven't been would you like to visit the Christmas markets? Prague is just amazing, been there and loved it! I've really want to go to Prague and this has made me even more! I would love to go and it looks absolutely stunning! What a fabulous post, made me want to go even more! Thank you Erika. It really is a lovely place to visit. Oh my gosh, your photos and descriptions are absolutely enchanting! I'd love to go to Prague, but I wonder how accessible it is for a wheelchair user. I'd love to hear your opinion on that. There are cobbled streets everywhere but otherwise I would say it is accessible. I did - hope you get the chance to go sometime. I heard the food was not so good in the past. Thankfully it is much more cosmopolitan now. I have always wanted to go but never thought about going at Christmas time. My birthday is in December so I'm going to suggest we go next year. That Christmas tree alone is worth seeing! I would say Christmas time is one of the best times to go as it is SO festive. It is a beautiful city all year round but especially so at Christmas. I've never been to Prague but after this post I'd love to. What gorgeous pictures! Thank you, maybe you will get the chance to go in the future. Yes it is amazing and the Christmas market was great! I'm so with you on Prague, it is gorgeous! Have you been? It is gorgeous. Thanks Hannah it is beautiful and I hope you have a chance to visit one day. Thanks so much for adding this post to the BritMums travel round-up linky. I've never been to Prague so this info is great: must make a note of the hotel and restaurant recommendations. That Christmas tree looks so pretty - a wonderful time to visit the city. Thanks Trish. There are lots of lovely restaurants in Prague I didn't realise how cosmopolitan it was to be honest. I think it has changed a lot in the last ten years. Thanks for linking up this week for #SundayTraveler! I have been to Prague 2x, and it's so beautiful, I just can't imagine how much more wonderful it could get during this time of the year. Also I have just pinned this to my boards, I hope that's okay. Thanks for pinning this. I love to travel so will watch out for your linky. We just arrived in Prague for Christmas - our first visit and the city has blown us away! Thanks for the great tips! I've been to Prague many times, but never during Christmas time. The Christmas tree in old town square looks amazing. Thanks for linking up to the Sunday Traveler. It's a great time to go! I've just returned from Prague Christmas market. Judging from the tree, we passed by it and missed each other :-) I wish there was a bit of snow, though. Yes that would have been lovely. You have to go Corinne. It is a beautiful place and steeped in history. Looks so beautiful! I would love to go! It is a lovely place at Christmas especially. That's a shame. I was lucky and didn't have any bad experiences. The architecture is Prague is simply stunning. It is a great value city break, and the city is so beautiful too.